Vehicles more than two metres wide or two metres high or goods vehicles weighing more than two tonnes are not permitted to travel through the tunnel. Enforcement by the new cameras will be carried out from early February. People driving vehicles that do not comply with the restrictions could be fined up to £130, although TfL said it will issue warning letters rather than fines for two weeks. 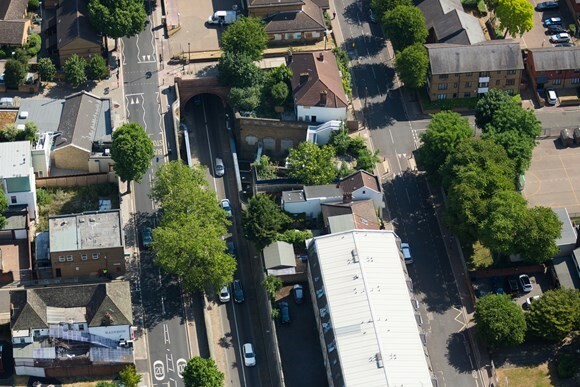 Glynn Barton, TfL's director of network management, said: 'Safety is our top priority and these restrictions are absolutely essential to ensure that people can continue to use the tunnel safely. TfL said the tunnel, built in 1908, was not designed to cope with modern levels of traffic and that in September last year it carried out detailed analysis of the its ventilation system, which would be used to extract smoke and other dangerous fumes in the event of a fire. This showed that new restrictions were vital to ensure the tunnel could be used safely while TfL works on plans for the its future. Enforcement officers at both approaches to the tunnel since the new restrictions were introduced have turned away an average of 600 vehicles a day.